Corinne Michaels is an auto-buy author for me. I have loved every book she’s ever written. 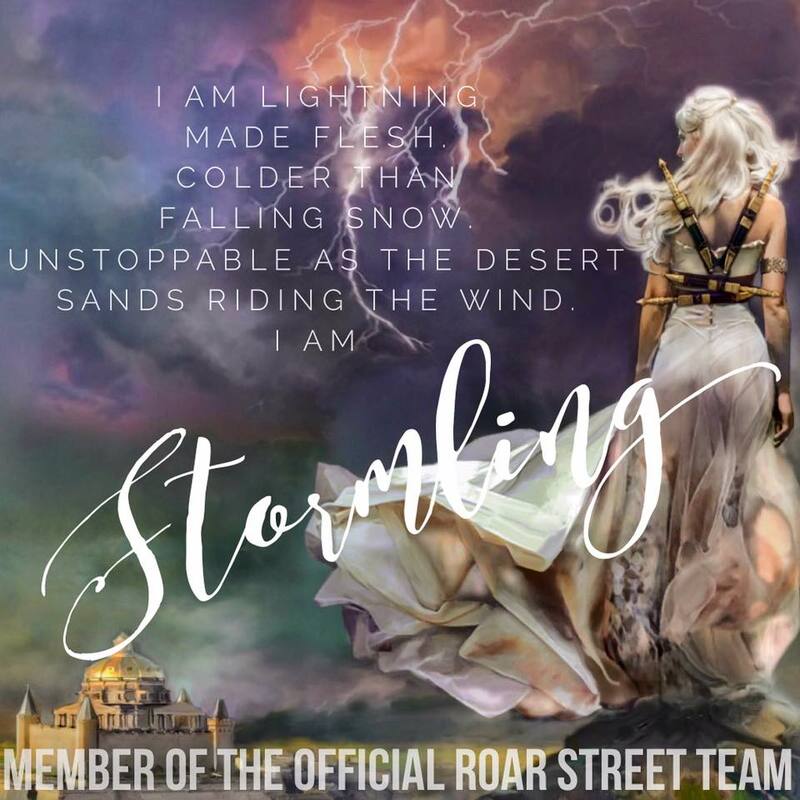 Yes, there are some books that I love more than others but she never ceases to amaze me with her writing, her characters and her ability to tell a great story. 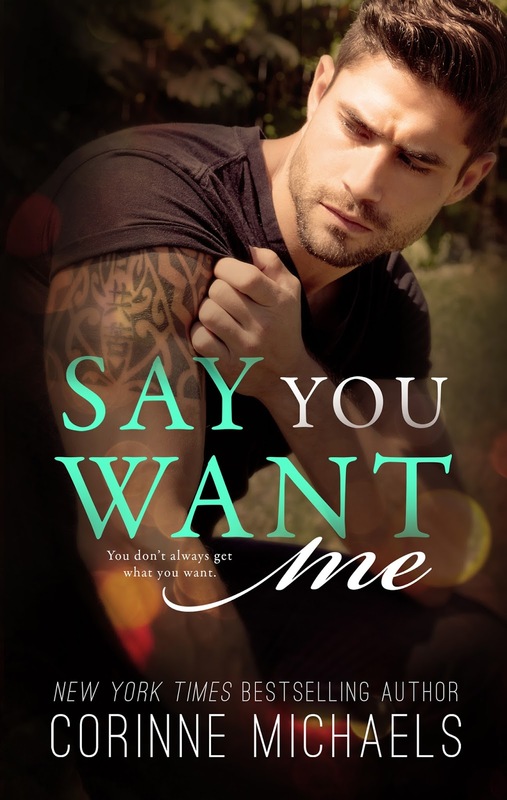 SAY YOU WANT ME is book 2 in Corrine’s Return to Me series. You can see my review of book 1 here. SAY YOU WANT ME is a friends to lovers romance that follows Wyatt Hennington, the youngest of the Hennington brothers. I fell in love with Wyatt when we first met him in Zach’s story and I have been anxiously awaiting the release of this book. He is such a kind, loving and devoted man. He’s the kind of guy we all wish we had. A man that will make you his whole world. The minute this book landed on my kindle I dropped everything I was reading and spent every spare second I had to reading Wyatt and Angie’s story. I couldn’t stop. I didn’t want to. You could catch me holed up in my office with the lights off during my lunches so that no one would bother me. I really enjoyed reading SAY YOU’LL STAY, Zach and Presley’s story, but I absolutely loooooved Wyatt and Angie. Wyatt was in love with Presley but knew she was meant for his brother. So he let her go. He’s now the town ladies man. Every woman in town would love to be the one he chooses to spend his life with. But Wyatt hasn’t found that one woman. The one you can’t live without. Angie is Presley’s best friend. She’s insanely attracted to this hot cowboy but she’s stubborn has issues trusting others. She feels like everyone she’s ever loved has abandoned her. So when life throws her a curve ball and she’s forced to place her heart in Wyatt’s hands, she hopes that she hasn’t made a mistake. Can these two find what they’ve been missing? Are they meant to be together or do they just feel compelled to care for the other? SAY YOU WANT ME almost destroyed ME!!! Make sure you’re stocked with a box of tissues when you read this one. I went back to work a snotty red puffy eyed mess. But I still couldn’t stop reading. Wyatt and Angie were so beautifully broken. I had to know if they could heal, if they could come out on the other side of such heartbreak. It’s hard for me to pinpoint why I connected more with these two. Maybe it’s the things I’ve experienced in my life or maybe it’s the devotion they had for each other. SAY YOU WANT ME is definitely one of top reads of 2016. 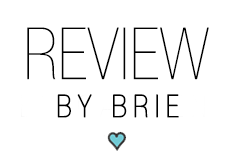 Wyatt made a play for my heart and worked hard to push Mark from Corinne’s Salvation Series out of the running for my favorite book boyfriend (you can read my review of Mark Dixon's story DEFENESLESS by Corinne Michaels here). If you love romance books, you’ll love this book! If you haven’t read any of Corinne’s books yet PLEASE do. She is one of my all time favorite romance authors and one of the sweetest people. I’ve had the pleasure of meeting her a couple different times and I swear I could of hung out with her all day. 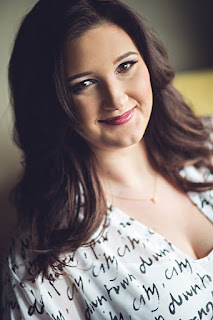 She has quite a few new books in the works and I cannot wait for her to write Trent’s story, SAY I’M YOURS. Corinne Michaels is the New York Times, USA Today, and Wall Street Journal Bestselling author of The Salvation Series and Say You'll Stay. She's an emotional, witty, sarcastic, and fun loving mom of two beautiful children. Corinne is happily married to the man of her dreams and is a former Navy wife. After spending months away from her husband while he was deployed, reading and writing was her escape from the loneliness. Both her maternal and paternal grandmothers were librarians, which only intensified her love of reading. After years of writing short stories, she couldn't ignore the call to finish her debut novel, Beloved. Her alpha heroes are broken, beautiful, and will steal your heart.